The iris scanner technology was firstly introduced in Samsung Galaxy Note 7. However, not many Galaxy Note 7 users use that nerdy feature. 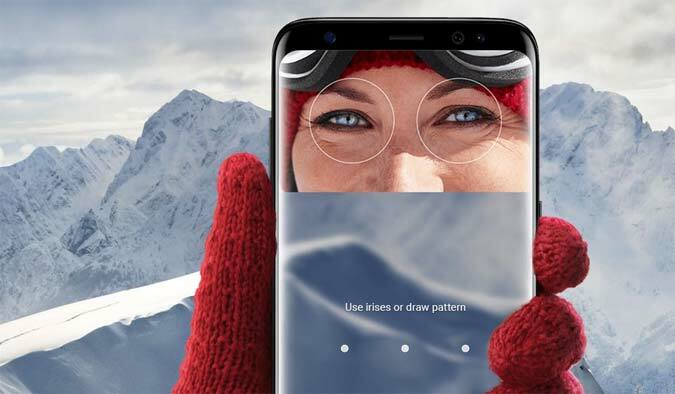 So, for you who is the owner of Samsung Galaxy S8, iris scanner is a new great feature to try. The technology in iris scanner allows you to unlock your phone by looking at it. It’s just simply with your irises. Iris scanner can also be used as your phone’s security system. Just like password, it could also open your secure folder. Logging authentically into Samsung Account, Samsung Pass, and Samsung pay is also possible. The position of iris scanner camera in Galaxy S8 is next to the front facing camera. Next, to the normally LED indicator, you can find the LED for the iris scanner camera. The LED will turn red when the iris scanner is scanning your irises. First, swipe down on the notification shade on the home screen. Go to settings by tapping the settings icon. Then, scroll down to Lock screen and security and tap it. Choose iris scanner. After that, enter your password, PIN, or pattern. Next, you can preview the masks you want to choose. Then, select the desired mask. That’s it. It’s so easy to change to mask for helping your scanning your iris. This feature is interesting because the masks are a bit child-friendly and cute. So, many users would like to change screen masks on iris scanner on their Galaxy S8.